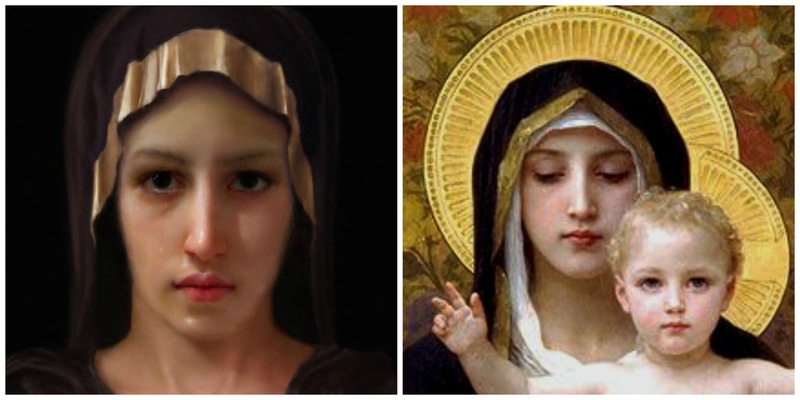 Apparently this painting of Mary, with a deep look in her eyes, is a forensic artist’s rendering of the Virgin Mary based on the image of our Lord on the Shroud of Turin, in combination with a painting by William-Adolphe_Bouguereau. I would like to quote from Our Lady Of the Mountains Roman Catholic Church because their reflection is beautiful and profound. Is this the face of Mary? This image of Our Lady has been floating around the internet of late. We understand that it is a forensic artist’s rendering of what the Virgin Mary might have looked like based on the image of our Lord on the Shroud of Turin. Since the Lord was the biological son of the Theotokos alone, any physical features of his face would have come directly from her. His eyes would have been her eyes. His face would have been a masculine version of her face. This idea is intriguing. While the Church has never stated definitively that the face in the Shroud of Turin is that of Our Lord, many believe it to be so. Starting with that assumption, and now with modern forensics, we can work backwards, and speculate what his Mother might have looked like. Could this beautiful face be the face of the Virgin Mother?. Bookmark the permalink. I have never seen anything like this before. Piercing is an understatement! She looked right through me. I believe this picture will help people like me (from a non-Catholic background) to relate to her. I really do love Bouguereau’s Marys. They are both ethereal and earthy. Yes I understand. That’s one the reasons I also appreciate the Orthodox icons. Beautiful. Interesting–I’ve never seen this type of depiction of Mary (based on Shroud). 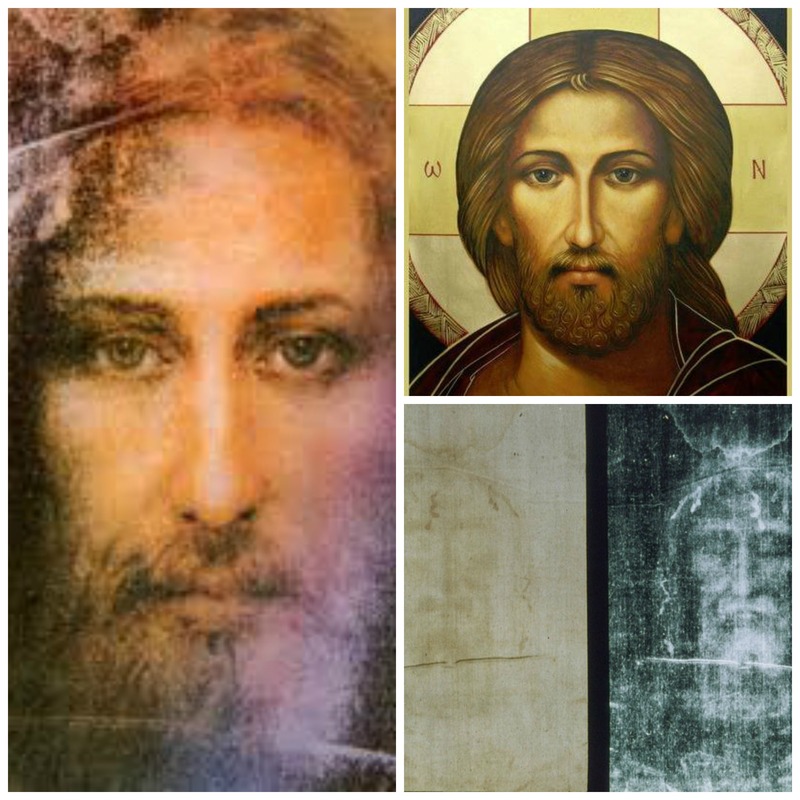 The Shroud of Turin image of Jesus is truly dear to me; and the Bouguereauv image has been extremely special for me as well (which I only came to know/see through my reversion via EWTN!). Beautiful. I still ponder this and so appreciate the images. Almost everyday I ask Mother Mary to pray for me (and a few Saints). I guess that means I’m no longer Protestant! The Virgin Mother of God is my rock and refuge. This image only helps to solidify my feelings. It is awe inspiring to think that a young girl of approximately 14 years of age said ‘yes’ to THE most important event in all of creation history . This image will long give me an image in my mind’s eye when I dialogue with my Mother. It is absolutely beautiful,I love it- it looks like a real person’s face and I would love a copy of it for my prayers to Our Lady. Does anyone understand? Mary is depicted as the incorrect race. The real face of the Holy Mother of GOD is the one shown in the image of our Lady of Guadalupe. Perhaps, but that isn’t to say that, within the context of ‘art”, that the two could not, perhaps, be the same Lady. You most affectionately, have a more vested interest in O.L.G. I feel that the eyes are the most captivating aspect of this rendering. I feel as if she truly looks into my soul.